Are You Getting In Enough Protein? We have become a very “protein aware” society, it seems like every diet book and blog emphasizes the importance of getting adequate protein. It is hard to believe that some of us still do not consume enough. When I review a new client’s food recall almost half of the time there is still a lack of protein when the daily total grams are added up. Lack of protein is especially common amongst women. When women are trying to lose weight or lean out they tend to start cutting calories and since most women tend to enjoy eating carbohydrates more the daily protein is the nutrient group that is sacrificed over carbohydrates. Here are some common signs and symptoms that you may not be getting enough protein. You are hungry and craving sweet and starchy foods. It is common among dieters to eat low calorie cereal, bread or plain oatmeal in the morning, sure they may feel full for a short period of time but within an hour or two they feel like they never ate. If that person were to have incorporated an egg or protein powder to their morning meal they would feel fuller and have less cravings. Protein helps regulate our insulin hormones, preventing highs and lows allowing the body to metabolize fat and have steady energy levels. It’s not about the daily calories it’s about the chemistry. You find it difficult to concentrate. If you feel like you cannot get your thoughts together or mentally “foggy” you may be lacking protein. 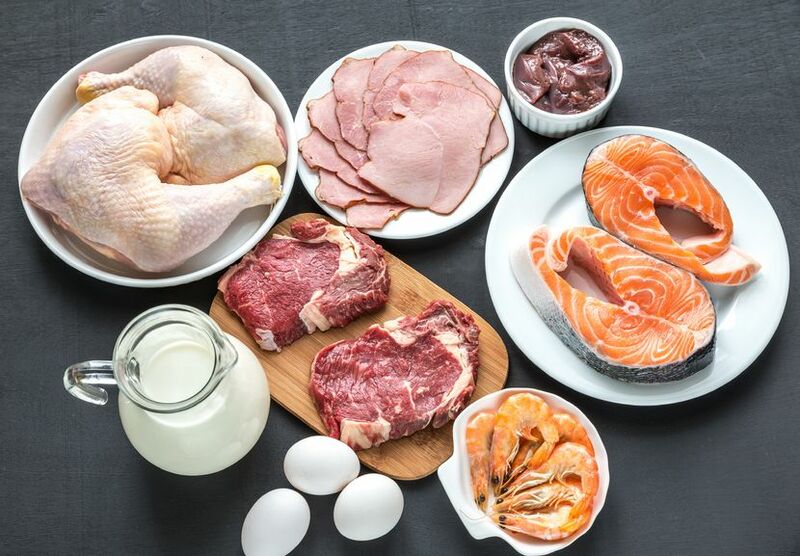 Protein contains essential amino acids that help fuel our muscles. 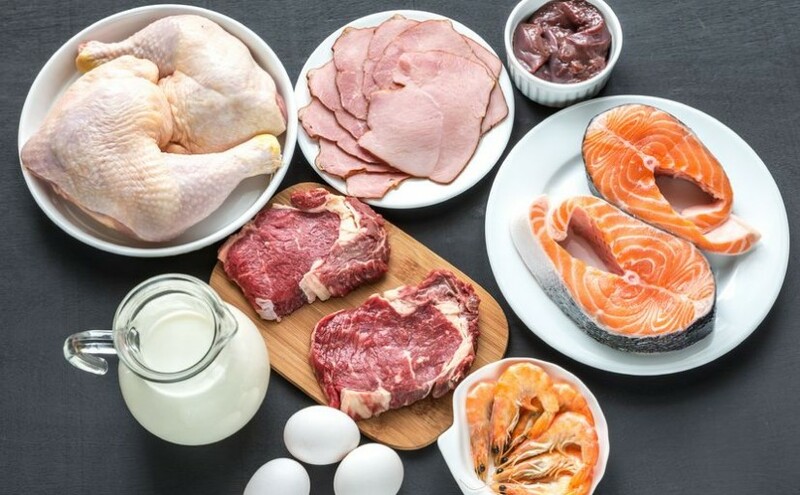 Being deficient in amino acids can eventually cause muscle wasting and malnourishment resulting in a hindered ability to concentrate and focus. If you get sick all of the time. Our immune system thrives off of being nourished properly with adequate carbohydrates, fats, proteins, hydration and vitamins and minerals. If one of these maco or micro nutrients is lacking then your immune system will not be as strong as it should be and more susceptible to getting sick when exposed to bacteria and viruses. Those who eat a diet rich in all nutrients tend to get sick less often because they have built an immune system that is able to fight off sickness when exposed to certain bacteria and viruses. Protein can also be over consumed this is typically common in men, they double or even triple their protein scoops in shakes or have 10-12 ounces of meat in one sitting. The body is typically only able to metabolize and absorb in one sitting 30-40 grams for women and 40-50 grams for men. If you consuming more than that it is your kidney’s responsibility to filter out the excess, which can strain them over time. Aim to consume .8-1.2 grams of protein per pound of your GOAL body weight. If you are 250 pounds but would like to get below 200 pounds do your calculations per the goal weight. The higher side of the recommendations are for those exercise intensely often (ie. Runners, cyclist, weight lifters, body builders, etc.). When I meet with clients and we go over their current food logs I typically discover a vice or two. One of the vices typically involves sugar or artificial sweeteners. Stevia is my only approved none calorie sweetener, and thank goodness it is becoming more and more mainstream. We all love some sweetness, but we have to learn how to control our cravings so it does not destroy our health. 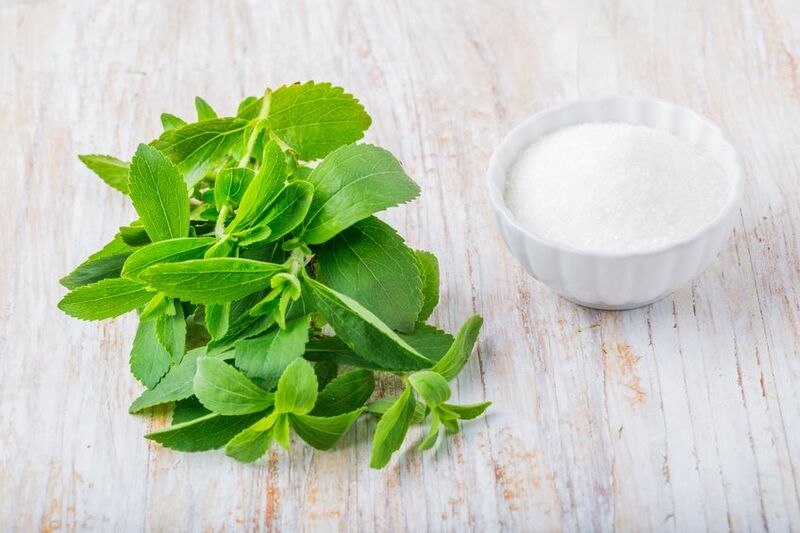 If you are new to using stevia or would like to learn more about it, this basic guide will help you source a high-quality stevia product you can feel confident about. Is Stevia really a plant? Stevia is an herb that is anywhere from 50 to 450 times sweeter than sugar. It has a long history of use in South America in the treatment of diabetes and reducing blood glucose levels. Stevia is calorie-free, carb-free, sugar-free and does not increase blood sugar. Home improvement store actually sell the stevia plants. What do I do with Stevia? Stevia can be used in cooking and baking and as a sweetener for drinks like tea and coffee. 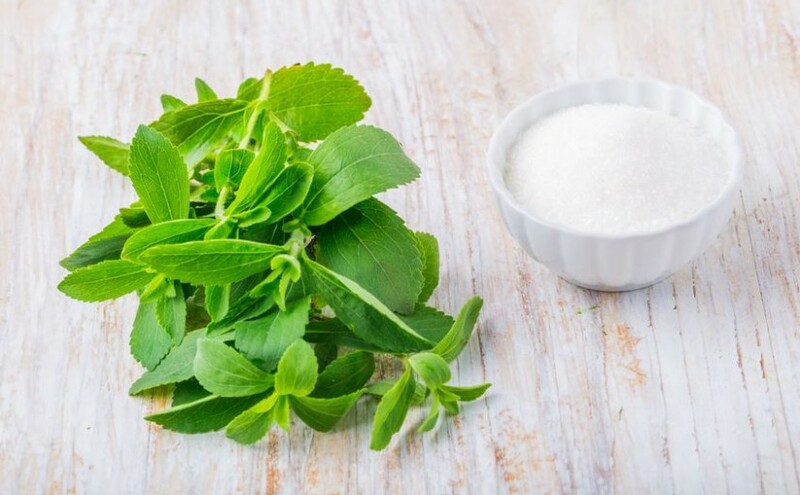 High-quality stevia is a healthy alternative to sugar and artificial sweeteners. Stevia acts synergistically when used in combination with other sweeteners. How are the packets or bottles of stevia processed? There are two different processing methods used to extract the glycosides, which are the sweet compounds, from the stevia leaves. The healthiest and safest process starts with non-GMO stevia leaves and uses only cold water for extraction. Another process of extraction, that is deemed a safe “sweetener” by the FDA, is chemically driven, using acetone, acetonitrile, methanol, ethanol and isopropanol for extraction and oftentimes starts with genetically modified stevia leaves. Obviously the first method is the more natural way to process stevia leaves, typically the natural processed stevia products can be found on the natural food isle, NOT by the other artificial sweeteners. There is a growing number of stevia options on the market, however, they are not all the same in quality, taste, bitterness or sweetness. High-quality, non-GMO, pure white, powdered stevia extract, is highly concentrated. As little as 3/4 of a teaspoon has the sweetening power of 1 cup of sugar. Five to seven drops of clear liquid stevia is equivalent to 1 teaspoon of sugar. NuNaturals and SweetLeaf are two honest brands that provide stevia products at a high quality level that can be trusted. Both of these companies start with non-GMO stevia leaves and use cold water for extraction. Is Special Kid Food Necessary? There may be times that you want to prepare a special treat for your kids, whether it be breakfast, lunch, dinner or a snack. But, rest assured, it is not necessary to prepare something for the adults and then a completely separate “kid friendly” option every time your family gathers around the table. A study called “The Family Meal Panacea,” from the University of Edinburgh and led by Dr. Valeria Skafida, found that children who eat the same meals as their parents have healthier diets than those who eat special meals designed to cater to their kid palates. “Eating the same food as parents is the aspect of family meals most strongly linked to better diets in children, highlighting the detrimental effect in the rise of ‘children’s food’.” Unless a child has a serious allergy or medical issue, there is no reason why kids can’t learn to eat the same foods as their parents. At about 6 months, your baby is ready for some solid foods, alongside their milk or formula (no cow’s milk before 1 year). Rice cereal is often the first food added into a baby’s diet at this point. Soon after, they can also begin trying some cooked and mashed or pureed vegetables and fruits. 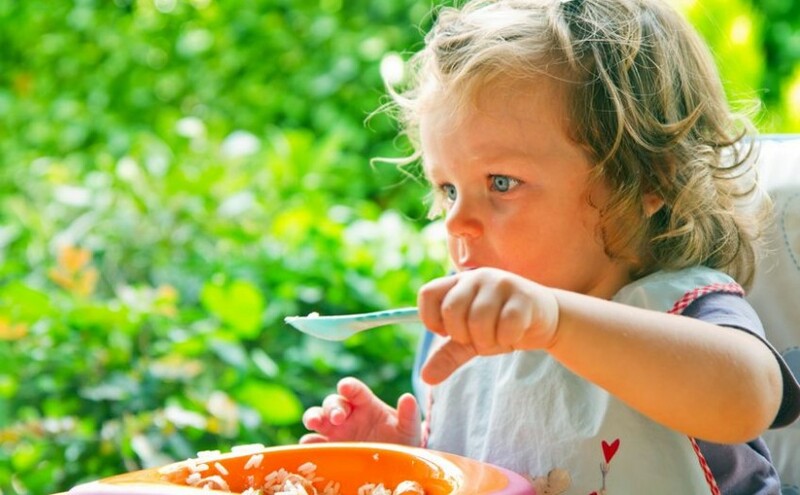 At the 10-12 month mark your baby can have chopped rather than mashed foods as well as some finger foods. These are general rules of thumb, so be sure to check with your child’s pediatrician to discuss introducing solids according to their specific development. 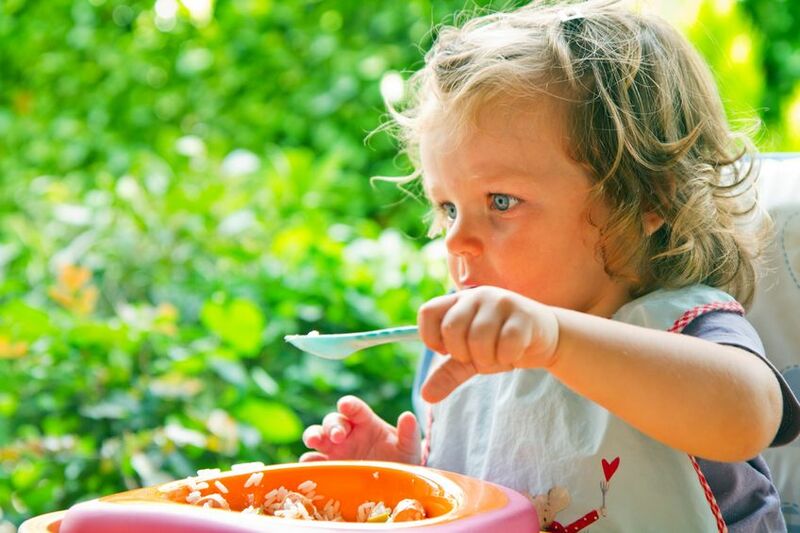 There are many advantages to feeding your child a home cooked meal and allowing them to enjoy the same foods as you. You will know all of the ingredients that are included and you will have more time to spend together at the table!